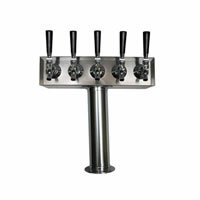 An extremely well made beer tower with a commercial size 3" tube and "T" across the top for the faucets. 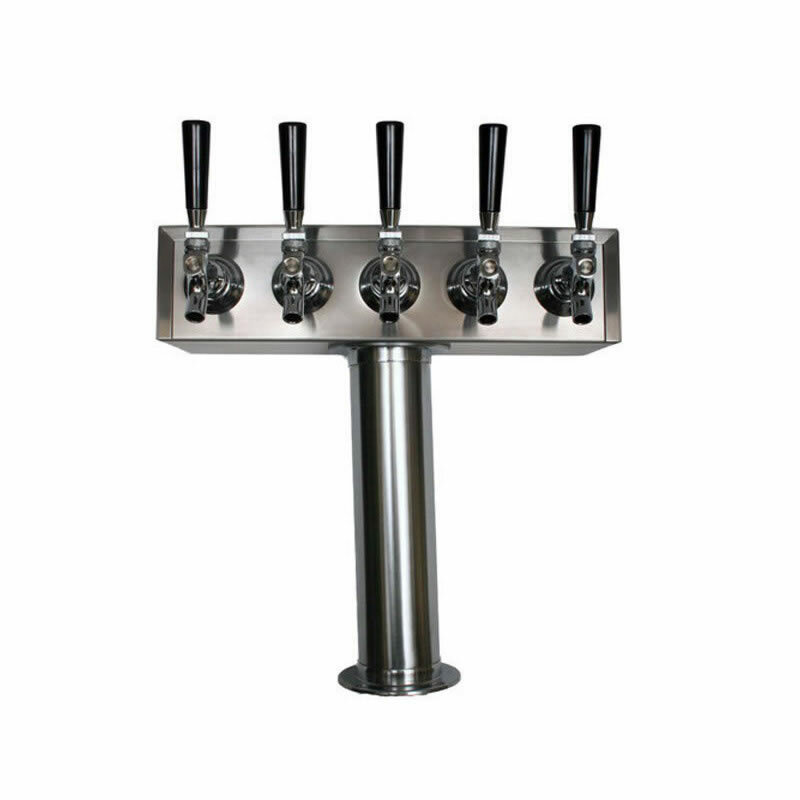 This tower is all stainless (except faucets which are chromed brass) handles are included with tower. 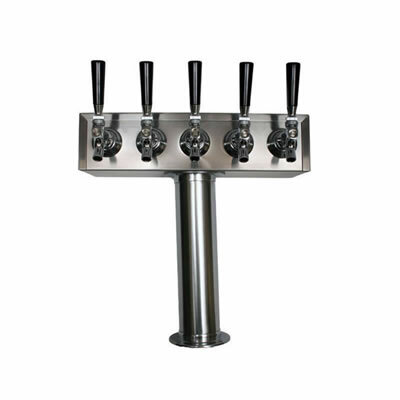 Faucet lever is standard brass model. Tailpieces and beer nuts included!